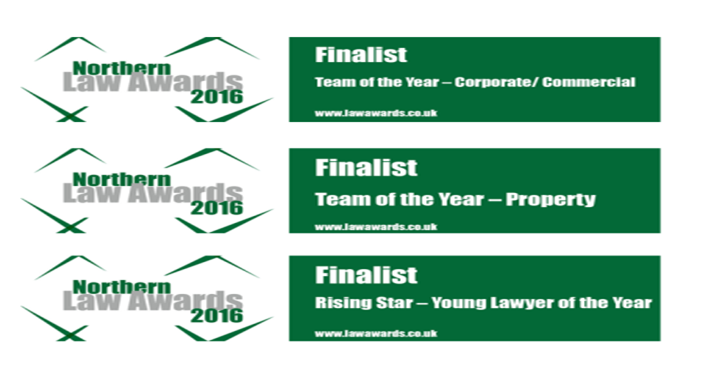 Mincoffs Solicitors are delighted to be finalists in three categories in the forthcoming Northern Law Awards. The Northern Law Awards are a celebration of the great wealth of legal talent and success within the region. Mincoffs Solicitors Corporate and Commercial teams are finalists in the Corporate/Commercial team of the year category, Residential Conveyancing are finalists in the Property team of the year category and Family Law Associate Solicitor Emily Cannell is a finalist in the rising star young lawyer of the year category. Mincoffs are to attend a judging day for each of the categories where representatives from the firm will be asked to deliver a 20 minute presentation followed by 10 minutes of Q&As to a four strong judging panel. The winners will be announced at an award ceremony held at the Crowne Plaza Hotel in Newcastle upon Tyne on Thursday 23rd June 2016. Good luck to everyone who has been shortlisted as a finalist.